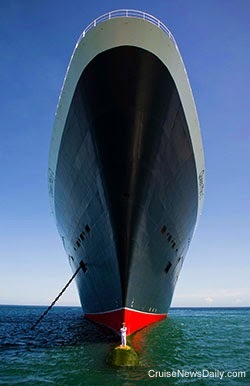 2015 is Cunard Line’s 175th anniversary. 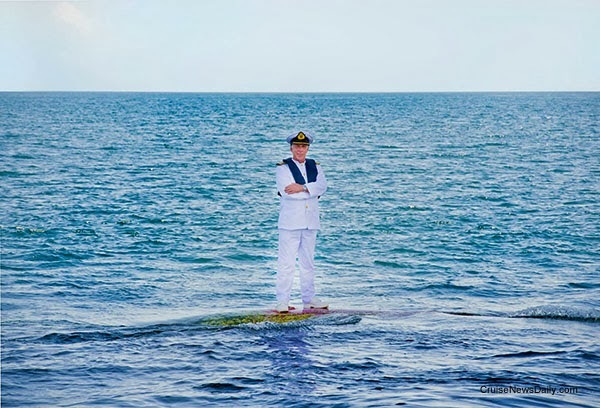 To commemorate it, Cunard has some special positionings of their ships planned to mark special occasions, and next week (March 13), the voyages that incorporate them will go on sale to the public. A 70-year-old German man was reported going overboard from Costa Classica Thursday evening about 11:20pm (LT) when the ship was approximately 90 miles east of Funchal. 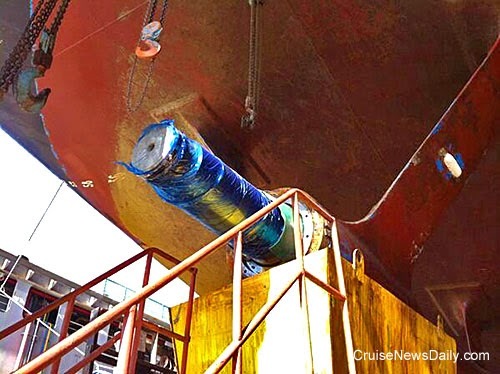 CND subscribers also read about dry dock work continuing on Azamara Journey (photos below) ... and what to leave home without. 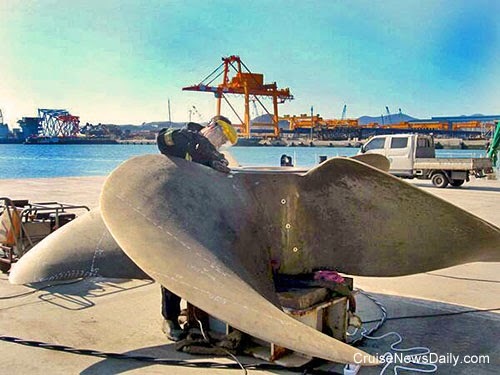 The propeller is removed, waiting for the new seal to be installed. Saturday morning the new seal was installed and the prop was lifted back into place. 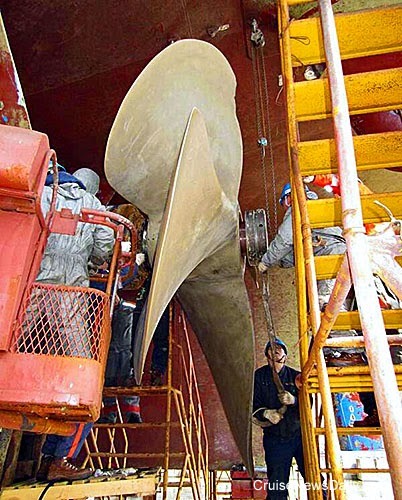 As the propeller is adjusted, you can see the shiny new seal that will fix Journey's problem. Photos courtesy of Azamara Club Cruises. All rights reserved. May not be copied or used without permission. 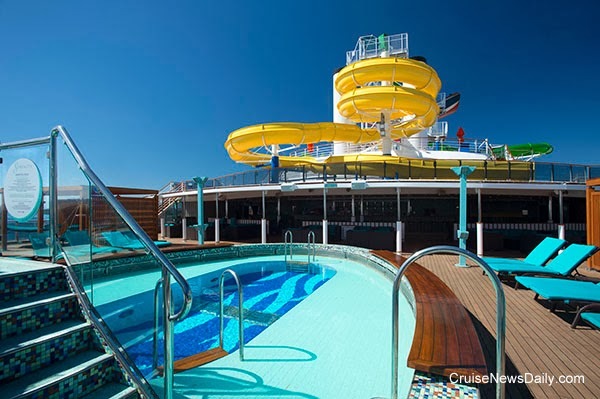 Several weeks ago, Norwegian Cruise Line said Norwegian Epic would remain in Europe year round beginning when it repositions to the Mediterranean for the summer 2015 season, and then the 2015/2016 winter season would be its first winter season there. At the time, itineraries for the winter were not yet finalized. Now they have been. While they are not unique, they should prove interesting, especially for North Americans venturing across the pond in the winter. 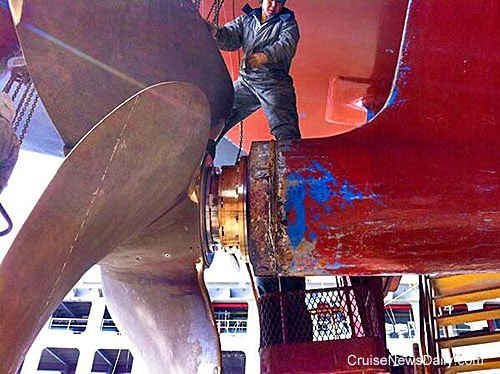 CND subscribers also read about the trouble with Journey (photos below) ... just standing around (more) ,,, and Carnival Paradise rescues 24.
the damaged propeller was already being removed from Azamara Journey. 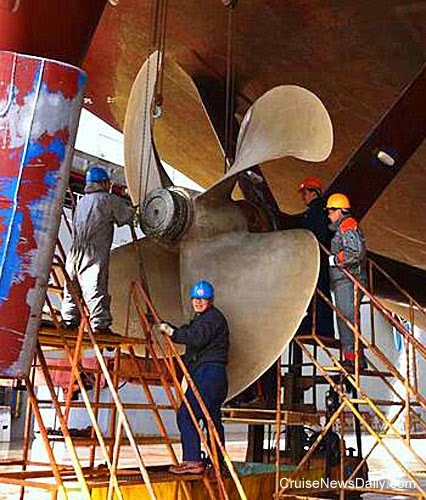 Azamara Journey's stay in dry dock is expected to be about three days. 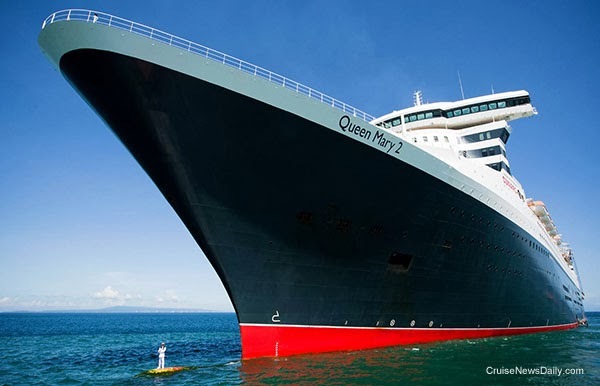 Cunard has released dramatic new images of Queen Mary 2 with its master, Captain Kevin Oprey, standing beneath her bow on the ship's bulbous bow. 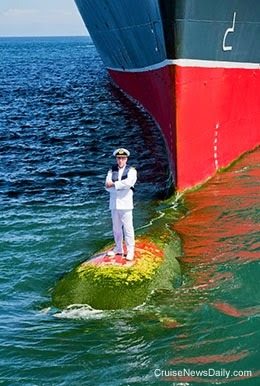 The images were captured on Sunday, March 2, 2014 when the vessel was a mile off the coast of Bali as part the ship's world cruise, during her 10th anniversary year. The coalition of Charleston groups opposed to the cruise industry, which brought suit to stop the new cruise terminal from being built (and hoping to force the cruise industry out of town) has been sanctioned by the court for their delaying tactics. Genting Hong Kong (which owns Star Cruises and approximately one third of Norwegian Cruise Line) said today in a filing with the Singapore Stock Exchange (where Genting is listed) that they plan to request shareholder approval to sell all of their NCL stock, which is approximately 31.35% (of the parent holding company, which in turn holds all of the Norwegian Cruise Line stock). CND subscribers also read about Azamara Journey arriving at the dry dock today for repairs ... a break for the single traveler ... and how Celebrity is making the suite experience sweeter. Azamara Journey arrives at the floating dry dock where it will be repaired in South Korea. Photo courtesy of Azamara Club Cruises. All rights reserved. May not be copied or used without express permission. Just like the passenger who eats too many desserts, Carlo’s Bake Shop is spreading out on NCL. Carlo’s Bake Shop has been such a hit on Norwegian Breakaway and Norwegian Getaway that Buddy Valastro’s desserts will soon be available fleetwide on Norwegian Cruise Line. More details are emerging about Richard Branson’s possible venture into the cruise industry, and from the sound of it, at least the media is excited about the possibility. But that doesn’t mean Virgin Cruises is any closer to reality. CND subscribers also read about getting Allure back up to speed ... and the room service steward who allegedly assaulted and then tried to murder a female passenger on Neiuw Amsterdam is heading to trial because he just entered a not guilty plea. 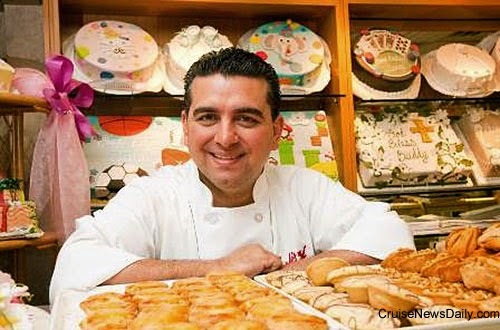 Buddy Valastro's desserts are soon going to be served on every Norwegian Cruise Line ship. MIAMI (March 4, 2014) -- Carnival Foundation, in partnership with Carnival Corporation & plc, the world’s largest cruise company, has awarded a $200,000 grant to Create Common Good, a nonprofit social enterprise that uses innovative food-related job training programs to help at-risk people find, perform and retain work with the goal of attaining self-sufficiency for them and their families. Carnival Foundation’s grant will support Create Common Good’s efforts to help more people overcome barriers to employment, while supporting the organization’s growth and expansion into new markets. 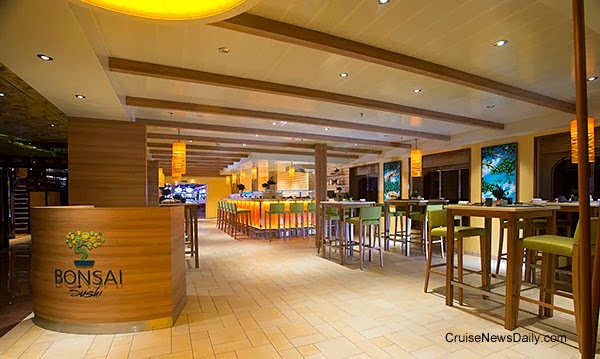 The two organizations also will explore opportunities to introduce custom-crafted Create Common Good food products such as gourmet meals, dressings, sauces and soups into Carnival Corporation’s shipboard menus across the company’s 10 cruise line brands. Create Common Good has engaged more than 3,000 volunteers since its inception in 2008, successfully placing 95 percent of its graduates in jobs with viable career paths. In addition to operating a small farm, the Boise, Idaho–based organization runs a commercial production kitchen and culinary training program led by world-renowned executive chef Brent Southcombe. With nearly three decades of experience in restaurants and five-star hotels across the globe, Southcombe was named Chef of the Nation for Australia and New Zealand in 1997. Create Common Good uses food to change lives and build healthy communities. In addition to providing job-training and placement services to refugees and other populations with barriers to employment, the nonprofit social enterprise offers youth development, healthy access programs and daily volume-production food services via a local farm and large commercial kitchen. Create Common Good programs transform lives and enrich communities by empowering self-sufficiency, developing youth leaders and improving the health of communities through experiential nutrition education and feeding programs. Visit www.createcommongood.org to learn more. MIAMI and ST. LOUIS (March 4, 2014) – Isle of Capri Casinos, Inc., a leading regional casino gaming company, and Carnival Cruise Lines, the world’s most popular cruise line, and a brand of Carnival Corporation & plc (NYSE/LSE: CCL; NYSE: CUK), announced today that they have formed a promotional partnership to offer cruise benefits to Isle of Capri’s players club members at 15 Isle of Capri casinos in seven U.S. states beginning in March. “Isle of Capri is an ideal partner for this venture as they share Carnival Cruise Lines’ commitment to quality service and hospitality. We look forward to bringing the one-of-a-kind Carnival vacation experience to Isle of Capri guests,” said Marty Goldman, Carnival’s senior vice president of casino operations. 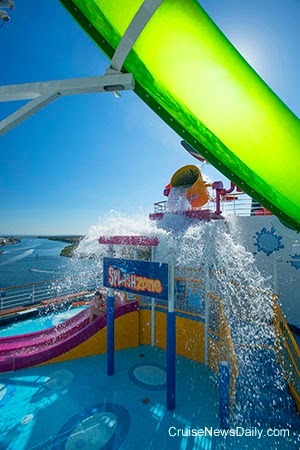 The cruises can be booked through any of Carnival’s reservations channels, including its valued travel agent partners. Isle of Capri Casinos, Inc. is a leading regional gaming and entertainment company dedicated to providing guests with an exceptional experience at each of the 15 casino properties that it owns and/or operates, primarily under the Isle and Lady Luck brands. The Company currently owns and/or operates gaming and entertainment facilities in Mississippi, Louisiana, Iowa, Missouri, Colorado, Pennsylvania and Florida. More information is available at the Company's website, www.islecorp.com. 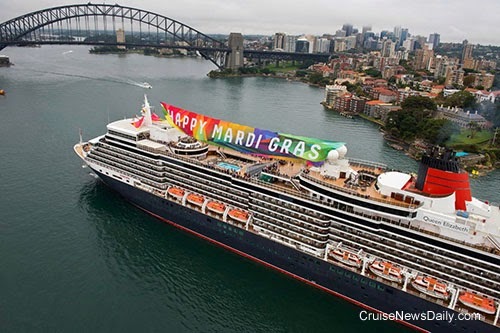 North America is getting ready to say good-bye to Carnival Legend, at least for the foreseeable future, because as was previously announced, Carnival is sending it to Australia to be the line’s second ship based year round Down Under. 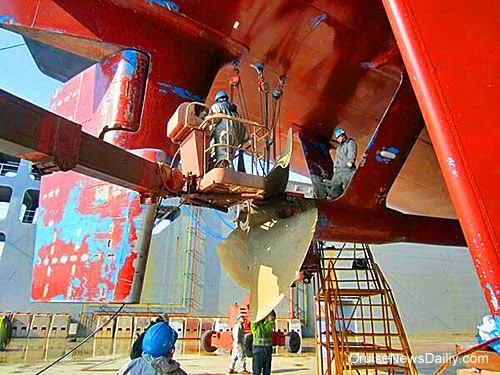 To prepare for that assignment, the ship has just returned from an extensive dry dock at the Grand Bahama Shipyard with a number of new features installed. 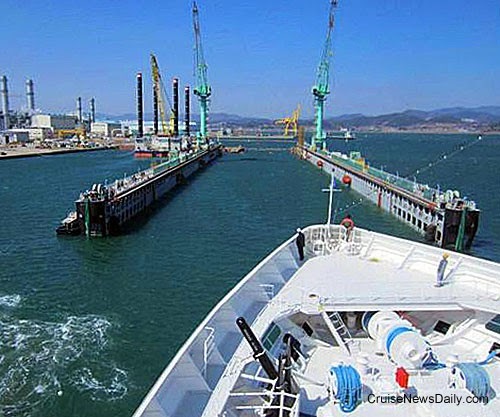 Last Friday, Azamara chose a shipyard in Gwangyang, South Korea to do the repair work on Azamara Journey. Passengers disembarked on Sunday at Osaka, but the line says there are quite a number of other passengers in need of assistance. In case you haven’t heard (and it would be hard not to), this year is the 50th anniversary of the Beatles American debut, and Cunard is commemorating that all year long. And they are doing it by treating passengers on selected sailings to the Beatles Experience. Carnival Legend has returned to Tampa from an extensive dry dock which added several new features to the ship, including a new aqua park and a new Asian restaurant. In September it will reposition to Sydney. 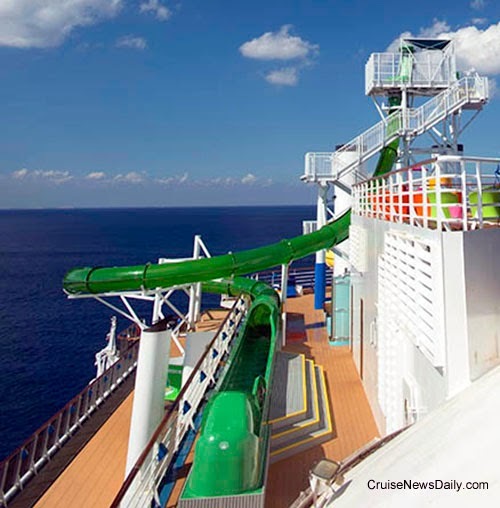 The complete article appeared in the March 3, 2014 edition of Cruise News Daily. Are you brave enough to ride Green Thunder? 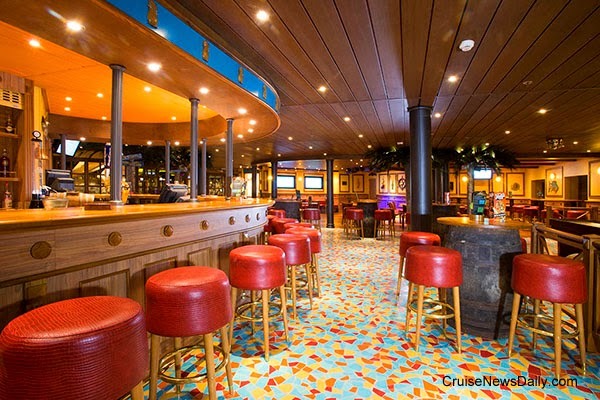 Photos courtesy of Carnival Cruise Lines. All rights reserved. May not be copied or used without permission.